Pick-up time 5:00 a.m. 6:00 a.m. 7:00 a.m. 8:00 a.m. 9:00 a.m. 10:00 a.m. 11:00 a.m. 12:00 m. 1:00 p.m. 2:00 p.m. 3:00 p.m. 4:00 p.m. 5:00 p.m. 6:00 p.m. 7:00 p.m. 8:00 p.m. 9:00 p.m. 10:00 p.m. 11:00 p.m. 12:00 p.m.
Return time 5:00 a.m. 6:00 a.m. 7:00 a.m. 8:00 a.m. 9:00 a.m. 10:00 a.m. 11:00 a.m. 12:00 m. 1:00 p.m. 2:00 p.m. 3:00 p.m. 4:00 p.m. 5:00 p.m. 6:00 p.m. 7:00 p.m. 8:00 p.m. 9:00 p.m. 10:00 p.m. 11:00 p.m. 12:00 p.m.
Executive Renta Car offers you a wide selection of VEHICLES for your stay in Colombia, we have an office continuously located in CRESPO, in the Airport Rafael NuÃ±ez area.As well as an office in Bocagrande, at the Five Star Hotel Almirante Estelar . So will find your vehicle waiting for you upon arrival in Cartagena. Executive Renta Car offers you a wide selection of VEHICLES for your stay in Colombia, we have an office convinously located in EL PARQUE LLERAS, in the Poled area.As well as an office in Rionegro at the Jose Maria Cordova’s Airport. So will find your vehicle waiting for you upon arrival in Medellin. Get your VEHICLE rental reservation today and travel with unlimited miles thru Antioquia, Medellin, Rionegro, Los Llanos Orientales, La piedra del PeÃ±ol, Santa Fe de Antioquia and much more. Medellin always has many events thru out the year, like Colombia Fashion, The Flower Fair in August, and the best Christmas fair, popular for its lightning streets and river. Need a GPS, Cell phone or infant seats? Don’t worry, they have no extra charge with us, How about just a Hotel Stay? Let us help you, as our client you will get and instant discount, in the most exclusive hotels Medellin â€“ Antioquia. 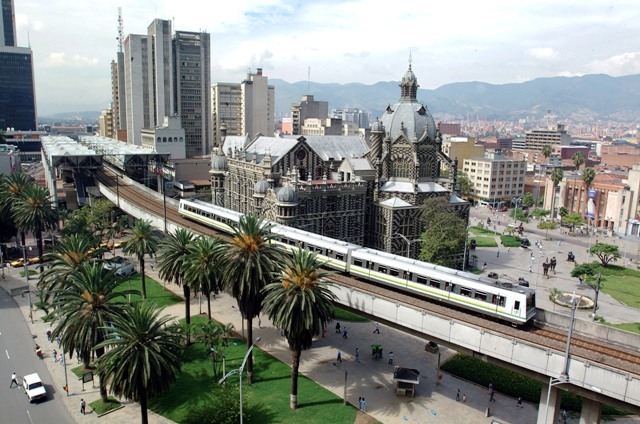 Recommended in Medellin by Colombia.Travel, we are your best option when it comes to: Security, Trust and Punctuality! miles thru the Bolivar department, Cartagena, Barranquilla, Santa Marta, El Parque Tayrona and much more. Cartagena always has big congress and meetings, as well as festivals, go thru the walled city, and explore the arquitecture, the dining, and the friendly people.Need a GPS, Cell phone or infant seats? Don’t worry, they have no extra charge with us, How about just a Hotel Stay? Let us help you, as our client you will get and instant discount, in the most exclusive hotels in Cartagena de Indias. Recommended in Cartagena by Colombia.Travel, we are your best option when it comes to: Security, Trust and Punctuality!